Every year for my birthday I refuse to eat cake. My birthday is in early January and after the food and festivities of Christmas and the New Year, I am tired from all the cooking and cleaning and I can no longer eat anymore. So as my birthday arrives I tend to make something special for me, but it is never a cake. 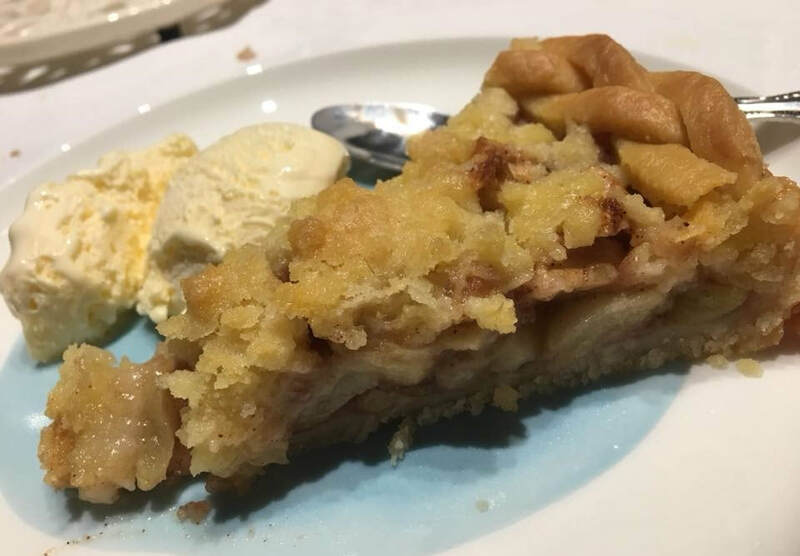 This year it was a pie, a delicious, easy, apple crumble pie. The pie pastry will give you enough dough to make two pie bases, which quite often I will do, just make two pies at once, I have a delicious blueberry crumble pie recipe or a delicious Strawberry, Rhubarb and Apple Crumble Pie recipe that I make, but this time I chose to decorate my pie with a plait around the edge, it looked great and baked really well. The crumble topping can be made by hand if you don't have a food processor, just rub the butter into the flour and sugar using your fingertips. This is delicious served with vanilla ice cream or custard, is easy to make and you really need to try it. In a large bowl, mix the flour and salt together. Pour the milk and oil into a jug, but do not stir it. Add the oil mixture to the flour. Stir until mixed well, knead for a minute or two, then shape into 2 flat balls (it will be crumbly, squish it together). Wrap in cling film and refrigerate for 15 minutes. ​Meanwhile, make the filling: In a large bowl, mix sugar, flour, cinnamon and nutmeg. Add diced apples and toss to coat. To make the crumble topping: ​In a small food processor add sugar, flour and butter, blitz until you have fine crumbs. Pour over the apples onto your cooled pie base. If you like, it is purely decorative, but delicious, you can use some of the remaining pastry and make a plait around the edge. Just roll it out, cut out long thin strips and plait. 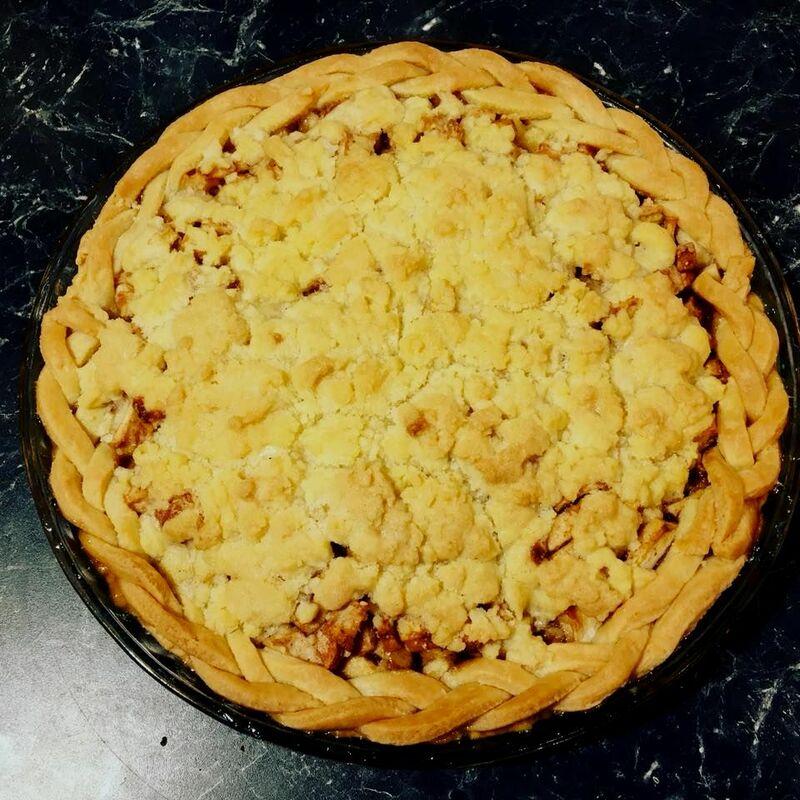 Then place over the apples around the edge of the pie. This is optional. ​Sprinkle over the crumble topping. 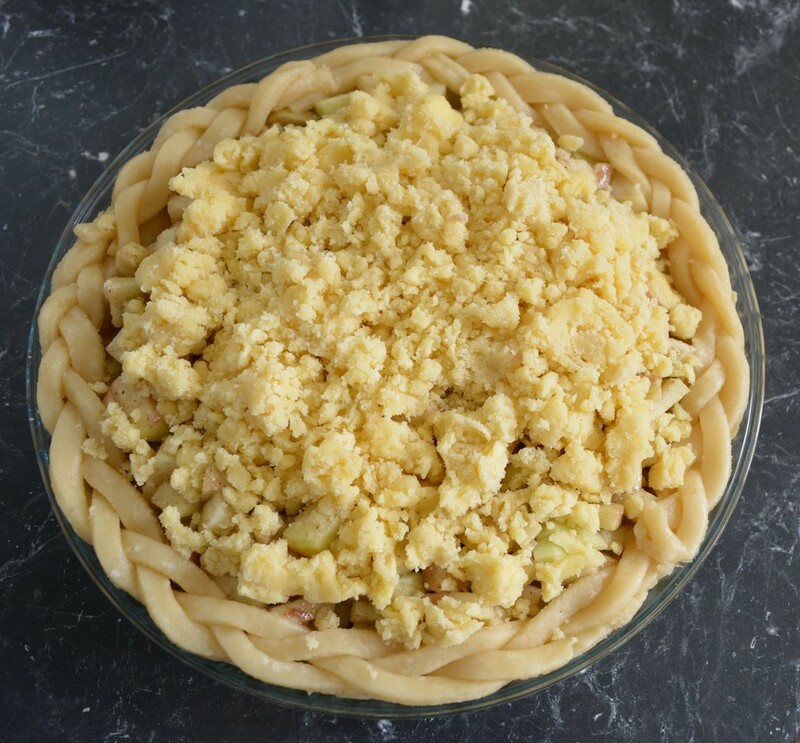 Place pie on a baking tray. Bake for 50 minutes or until golden and apple is cooked (cover with foil if over browning). Allow to cool slightly. Serve warm or at room temperature, with vanilla ice cream.